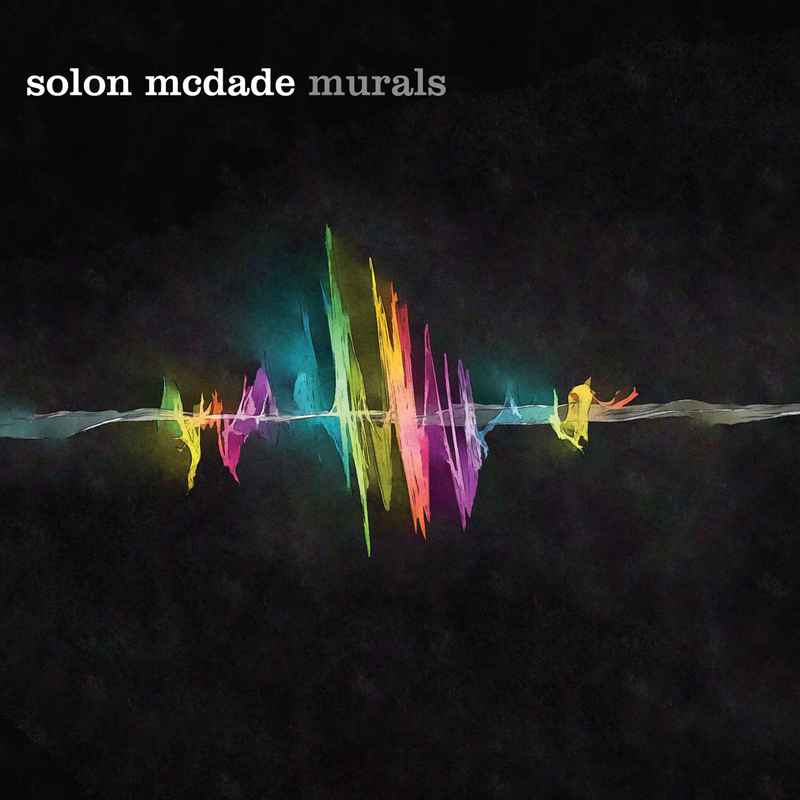 The CD of this month comes from Canadian double-bass player and composer Solon McDade. 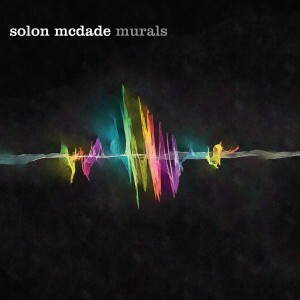 Solon basically grew up on stage, he was playing alongside with his parents and siblings in the McDade Family Band, a group that toured Canada with their own brand of Canadiana folk music at festivals and theaters throughout the 1980s and 1990s. “Murals” is his debut-album as band-leader and it features nine original compositions of him. The album was officially released on April 20 with a celebration in his home town Edmonton AB. A second eastern Canadian release is planned for Montreal, QC at the Upstairs Jazz Bistro & Bar on July 21st. All musicians are well established in the Canadian Jazz scene and have performed with well-known national and international musicians. Interesting about this line-up is the two saxophones, alto and tenor sax which gives the whole album it’s unique character. The album starts with the tune “He’s a Problem In The Locker Room”. The tune was written for the Montreal Canadiens hockey defense player P.K. Subban who was (and still is) very popular in Montreal but was traded to Nashville because he created “problems in the locker room”. The tune starts with a very swinging melody and the first musician featured here is drummer Rich Irwin, the two saxophones take over in an open dialog followed by a piano solo. Bass and drums produce a steady swinging groove for the soloists. We hear a bass and drums solo before the saxophones play the head, so everything very traditionally organized but very dynamically and relaxed played. Great tune and great start into the album. The second song is called “Buy The Tractor” and Solon told me that this song is about getting older. The melody is played by the saxophones in two voices. It’s a rather soft song and it features Paul Shrofel on piano and both saxophonists, again very dynamically played. The next tune is my favorite tune on the album. It’s called “Do Airplanes Scratch The Sky” and refers to a quote from Solons daughter about the condensation trails airplanes leave in the sky. The tune starts very slow, rubato. The first solo goes to Solon, he plays very melodically, followed by Donny Kennedy on alto sax. The best part of the album comes when the focus shifts to Jeremiah McDade on tenor sax (at around 5:22). The tenor sax rises from the ground up in the sky and piano and drums follow the saxophone, again great dynamics, great solo and my highlight of the album. The album continues with “Whatever Whatever”, a tune where alto sax and piano are featured as soloists. The fifth song on the album is called “The Ballad Of Sir William Ormerod”. It was written for a fictional character that writer Victoria Coren created in order to entrap people that were crashing funerals with the hopes of free food and drink. Paul Shrofel on piano is the featured player here, he plays a long and beautiful intro. Dynamics increase with the saxophones playing a melody of long notes, but reduces for a bass solo and increases at the end of the bass solo again with both saxophonists improvising and playing together. The great dynamics come again from the rhythm section, especially Rich Irwin on drums knows how to do this perfectly. “Off The Bed Rose” is about a dog named Rose that used to jump on Solons bed when he first moved to Montreal and could stay with a friend while searching an apartment. He was not used to dogs so he tried to talk the dog off the bed without having to get to close to it. You can hear this phrase in the melody. Very funny. The song is an up-tempo 12-bar blues and played in jam-style, both saxophones and piano plus the drums get their chance to improvise. The next tune is called “Blues for Sebastian”. It has been written for Solon’s friend Sebastian who has the Blues sometimes. Again very dynamically played with great saxophone and bass solos. “Ali’s Second Line” comes next and was written for Solos’ wife Alison and uses one of her favorite grooves. Drums, bass and piano push the saxophone players with their groove to peak performances. The album ends with “A Shorter Thing”. It was written for Wayne Shorter and uses the chord progressions from the Wayne Shorter tune “Fall”. The song starts with the rhythm section only and an elegant piano solo, followed by a saxophone interlude and a tenor sax solo. The song and the album finish with a soft fade-out, leaving a final impression in your ears. Very sophisticated. Dear Solon: Chapeau. You have managed to impress me strongly with your first album as a leader. You found excellent fellow musicians to play your fine compositions very dynamically and very refined. The album gets a clear recommendation from me. Unfortunately I will not be in Montreal on July 21 for the release concert at the Upstairs Jazz Bistro & Bar. Let’s hope that this group gets the chance to perform in Europe.